Last week I asked: What is there to do in Rochester? Need a great summer daytrip? There are indoor places where you can escape the heat and outdoor things where you can relish summertime. Rochester was first called Rochesterville after its founder Nathaniel Rochester who established the settlement in 1811. It has grown into a thriving city with many exciting things to see and do. It was home to George Eastman of Kodak fame and Susan B. Anthony, the famous suffragette: both are open to visitors. Check out the canal boat rides. 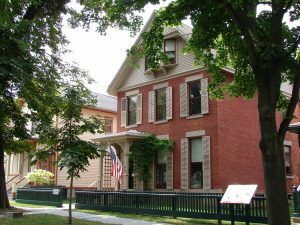 Rochester is another city that owes its existence to the Erie Canal, which opened in 1825 creating an affordable western route from the Atlantic Ocean to the Great Lakes. 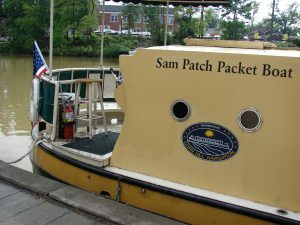 Even though Sam Patch and Mary Jemison did not live in Rochester, their legacy lives on in the names of two Erie Canal tour boats. The Sam Patch, a replica of a 1800s Erie Canal packet boat, leaves from Pittsford for a trip on the canal traversing Lock 32. The boat’s namesake was known as the Yankee Leaper having gained fame for jumping off waterfalls. Twice Patch successfully jumped off Niagara Falls. On his second 97-feet jump off Genesee Falls on Friday the 13th, 1829, he failed to surface. The Mary Jemison, a 1931 historic wooden boat, honors the legacy of “the white woman of the Genesee,” who chose to remain with her adoptive Seneca family after being taken captive as a child. The Mary Jemison departs from the trendy Corn Hill area traveling the Genesee River and the Erie Canal. 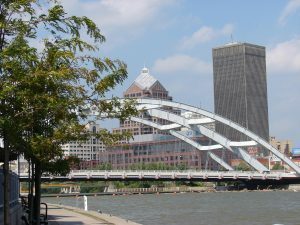 As the Mary Jemison passes under several bridges the scenery changes offering unique and different views of the Rochester area. There are family fun things to do. 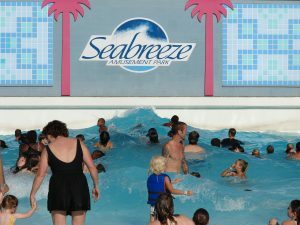 Seabreeze Park is one of the world’s oldest amusement parks. The park opened in 1879 where the main attraction was the shore-side picnic area but mechanical rides soon arrived. 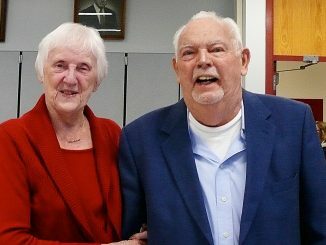 In 1904 George Long Jr. and his family brought a merry-go-round to Seabreeze beginning a family legacy that continues to this day with his great-grandchildren working at the park. The park has grown to include a water park with a wave pool and a variety of state-of-the-art thrill rides for all ages. Currently, Seabreeze is North America’s 4th oldest operating amusement park with the Jack Rabbit the 3rd oldest operating roller coaster. Escape the heat – go to the Strong National Museum of Play, which has a vast collection of toys and dolls. The museum is one of the largest history museums in the United States; it is interactive so it is fun for the whole family. 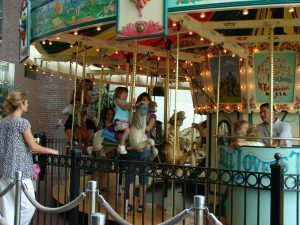 Youngsters can ride the Elaine Wilson Carousel and the Strong Express train. 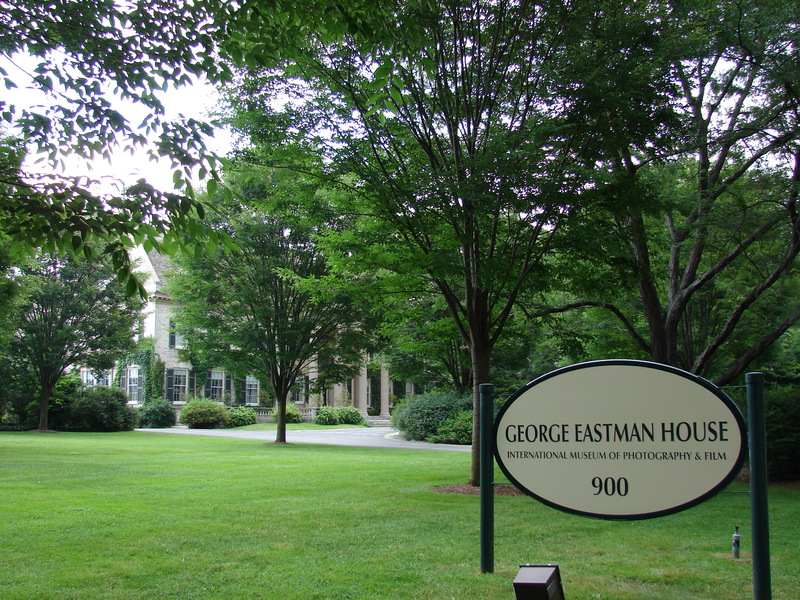 The George Eastman Museum is on the estate of the Kodak founder. There are exhibits, film archives and gardens. A young engineer for Kodak invented the digital camera but Kodak wasn’t interested because they had cornered the market in cameras and film. The young engineer never made any money from his invention because what he invented on Kodak time was Kodak’s. However, Kodak did make a lot of money from the patent but they did not enter the digital photography market until it was too late … they filed for bankruptcy in 2012. 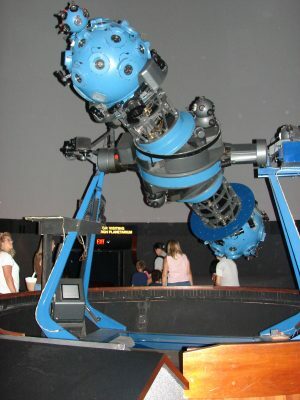 While in Rochester also visit the Seneca Park Zoo, the Planetarium and the Memorial Art Gallery. Travel Trivia Tease™: What is there to do in Toronto?